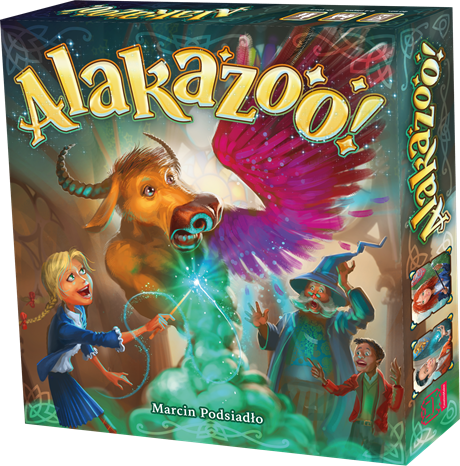 In Alakazoo By CREATIVEMAKER LLC, you take the role of a young adept of the art of summoning, competing in a magic tournament. Roll the Spell Dice to activate runes on your Portal, collect the Specc Cards or use your Castle Keeper powers. Try it on Tabletopia and support on Kickstarter!